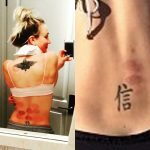 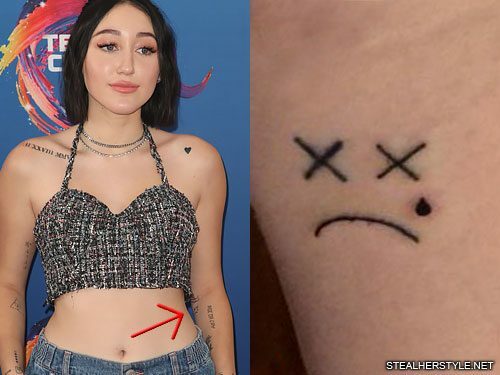 This sad little smiley face is one of four tattoos that Noah Cyrus got during a single session with artist Dakota Gomez in August 2018. 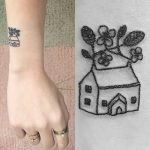 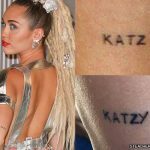 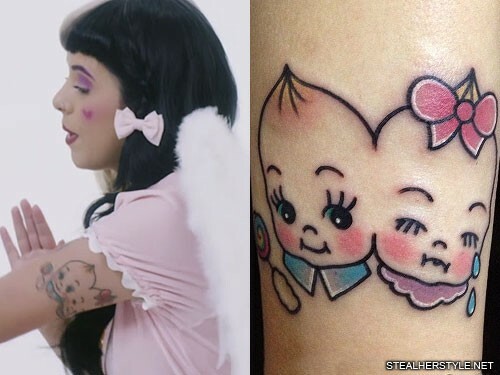 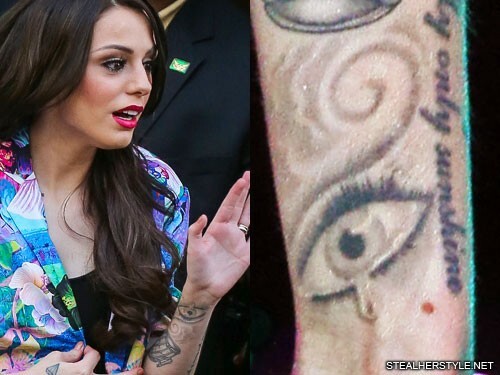 She already had a similar tattoo on her wrist featuring a happy face with X’s for eyes. 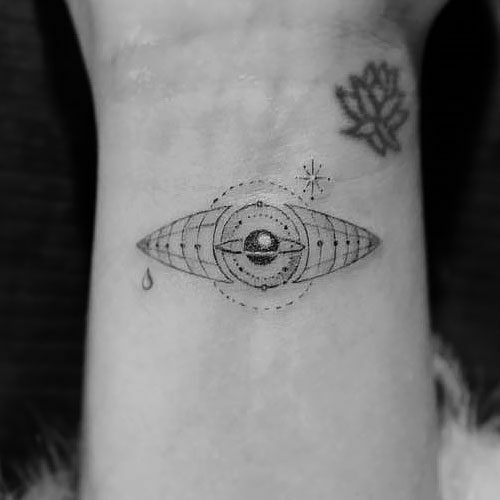 This time she got a frowning face with a tear drop below its eye. 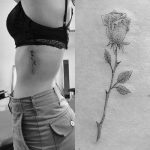 I wanted to let people see where I am in my life right now as a person. 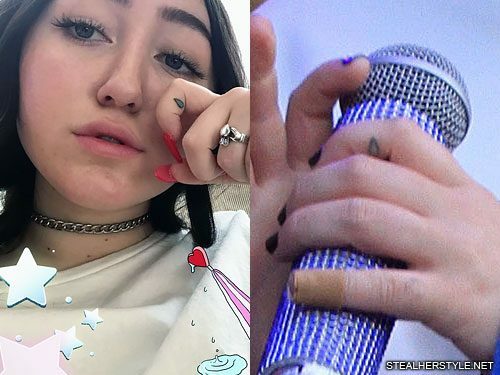 Like how I deal with hella anxiety, and I get depression, and I get upset, and I have feelings, and I’m alone on tour sometimes, and I’m sad. 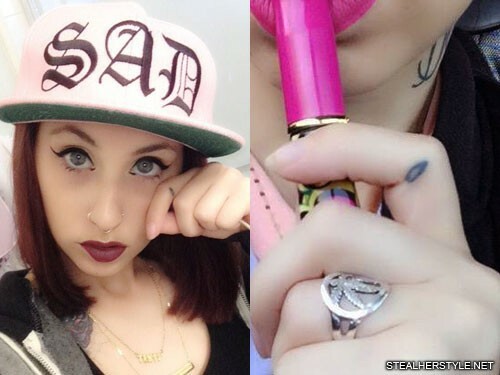 Kreayshawn has teardrops on both of her index fingers which show when she pretends to wipe tears from her eyes. 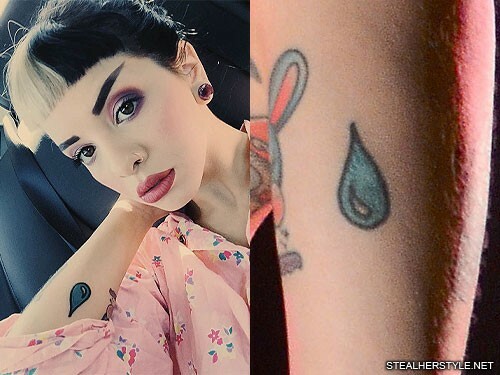 Teardrop tattoos on the face have many traditional meanings, one of their symbolisms is that the wearer has been to prison. 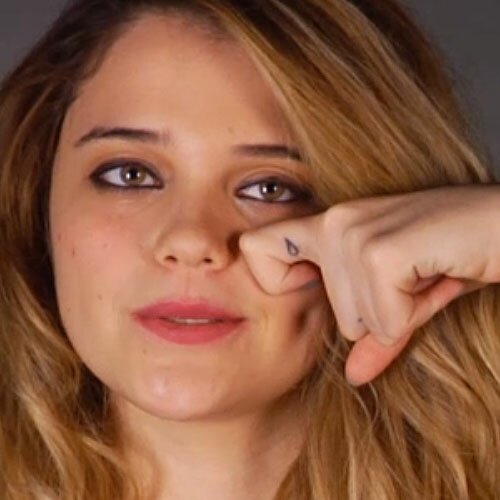 Sky Ferreira got hers on her finger in honor of rapper Lil Wayne when he was sent to jail from weapon possession in 2010. 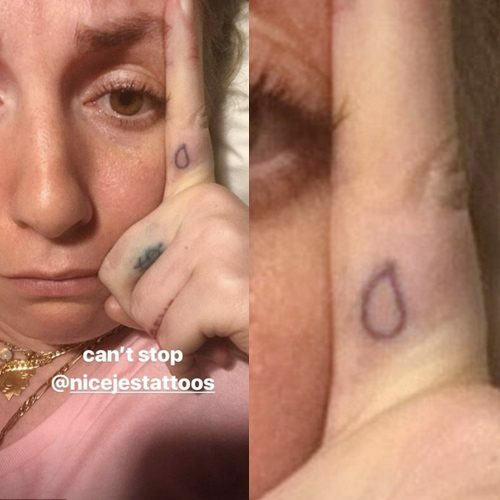 Lil Wayne himself has multiple teardrop tattoos on his face.